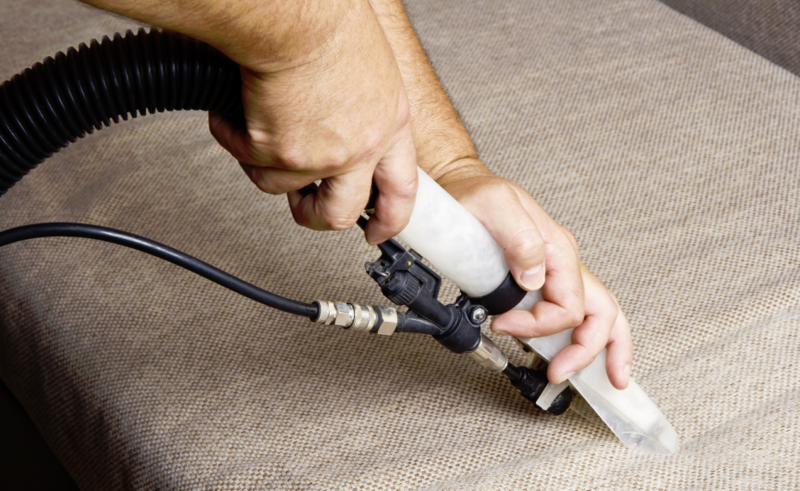 When it comes to finding a reliable upholstery cleaner in Northern Virginia, Absolute Carpet Care has you covered. We can clean almost any fabric, including delicate and hard to clean materials. Our process follows the guidelines set by the Institute of Inspection, Cleaning and Restoration Certification (I.I.C.R.C.). First, we inspect the furniture, assessing any stains or spots, so we can let you know what to expect from the initial restoration. Next, we pre-condition the fabric allowing the cleansing agents to emulsify the dirt and stains. We follow this with a textile rinse and extraction to thoroughly remove soil and moisture. We then use high powered fans to accelerate drying time. On cut pile fabrics we use a brush to groom the pile to lift it and leave fabric looking like new. Despite what the label says, very few pieces of upholstery actually need to be dry-cleaned. Upholstered furniture uses more varied material and methods of manufacture than carpet. A lot of manufacturers use a dry cleaning recommendation on the label to protect them because with dry cleaning there is less risk of damage. Though with dry cleaning, you sacrifice the thorough cleaning that you get with a hot water extraction cleaning. Absolute Carpet Care can also accommodate many aspects of the commercial & business environment, from office chairs and conference rooms to partitions, leather seating, and entry furniture pieces. There are thousands of different kinds of upholstered fabrics and thousands of kinds of stains that can and will end up on your furniture. Removing stains from delicate fabrics can be a science. 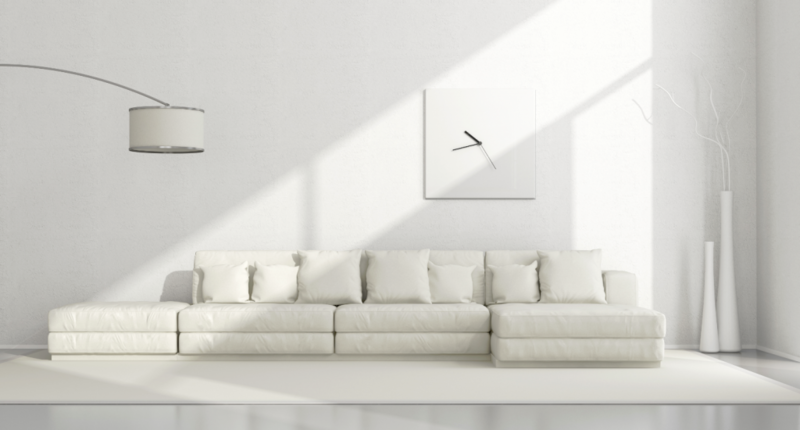 It would be nice if there was one chemical to treat every type of stain, but unfortunately, that isn’t the case when it comes to using the proper upholstery cleaning technique. Most stains can be removed if treated promptly with the right combination of chemicals and immediate cleaning. The toughest type of stain is one that was pre-treated with the wrong chemical or left for a long period of time. Improper pet stain removal is one situation that we see time and time again. If you’re not familiar with the right way to clean a stain on your furniture, then call in the upholstery cleaning professionals at Absolute Carpet Care. Q. But the tag on my upholstery says dry-clean only? A. Many manufacturers use this type of tag on upholstery. This protects them from being liable for any possible problems. 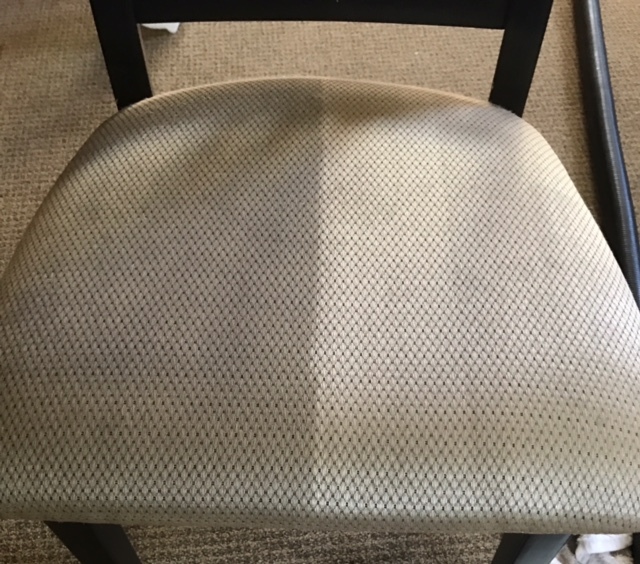 The truth is there are thousands of types of upholstery and most of the time with the right ph solution, heat, and quick drying time they can usually be safely cleaned and protected. There is a small percentage that we dry-clean. Q. How long will it take for my upholstery to dry and be ready for use? A. Because we use high speed fans to speed up the dry time it is often dry by the time we leave your home or shortly after. Q. Is there a protectant specifically for upholstery to protect my furnishings from spills and wear?